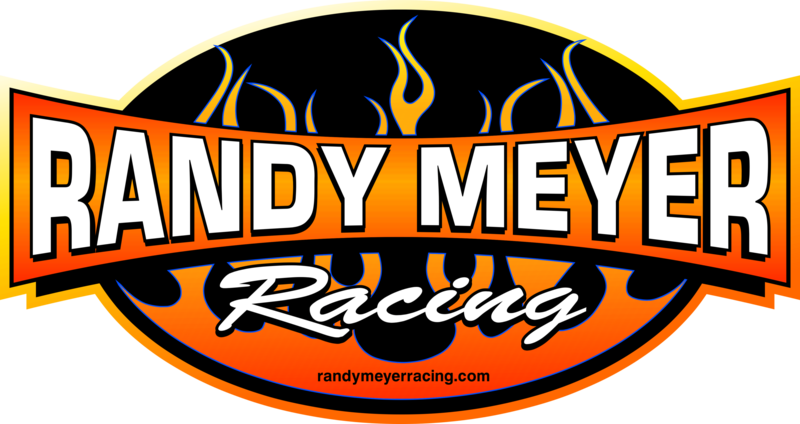 NHRA Top Alcohol Dragster team Randy Meyer Racing made the most of their weekend and came out on top at SRCA Dragstrip in Great Bend, KS. Sisters Megan and Rachel Meyer drove the NGK Spark Plugs/Lucas Oil/Meyer Truck Center backed dragsters and worked through the chilly weather conditions to compete in the final Division 5/Central Region Lucas Oil Drag Racing Series event. A 5.49 ET at 267 mph solidified Megan in the fifth qualifying position, while Rachel’s 5.45 ET at 267 mph pushed her above her sister and into the fourth spot; an unfortunate pairing for the opening round of eliminations. This was the second time this year that the Meyer sisters faced off in eliminations, a situation that hasn’t happened since the pair graduated from the Junior Dragster League. The elder sister, Megan, got the starting line advantage and led for the win by approximately 7 feet, running a 5.44 at 271 mph to Rachel’s consistent 5.45 at 265 mph. After defeating her teammate and sister, Megan faced Christine Chambless, who had lane choice with her previous 5.38 ET pass. The team knew they needed a strong pass to get the win and made right call with their tune-up changes. Megan powered down the track and ran the quickest pass of the weekend, 5.27 ET at 278 mph, and reset both track records, for the win. Megan went on to face Dean Dubbin in the third and final round of eliminations, who she was previously tied with for the championship chase. With the temperature drop for the final round, the track conditions were tricky for both teams to make it down smoothly. Dean had the starting line advantage this time, while Megan’s car went up in tire smoke, but he then struggled to find traction and broke the blower belt. Megan saw the opportunity and took advantage of the situation, getting back on the throttle and around Dean to reach the finish line first within the last 30 feet. Megan is now going home with the Wally, the track record, and the points lead after this weekend. She will have one final regional race in St. Louis where her, Rachel, and Dean will all come together again to battle it out in the quarter-mile for the 2018 Championship.